The Piano School academic year runs from the start of lessons in September through the Spring Recital in late May or early June and includes 31 lessons during that period. Of these, one lesson per term will be a group lesson. Up to four summer lessons are also included with your tuition. These lessons may be scheduled in June, July, or August, and in any manner that suits the student’s and teacher's schedules, but they are not guaranteed. It is the responsibility of the parent to schedule summer lessons as desired. Mrs. O'Brien will not remind parents to schedule summer lessons, and summer lessons are optional. 10 Installments: First installment is due with registration during the summer (no later than August 19, 2016). Remaining nine installments due on the first of each of these months: September, October, November, December, January, February, March, April, and May. A late fee of $10 will be assessed if payment is not received by the student's first lesson of the month. Sibling discounts expire after these dates. If there are more than 2 instances of late monthly payments during a school year, the student's account will be converted to semester payment. Recurring payments may be set up through BillPay or PayPal. 2 Installments: First installment due with registration during the summer (no later than August 19, 2016). Second installment due February 1, 2017. Discounted rate expires after these dates. 1 Payment: Due with registration during the summer (no later than August 19, 2016). Discounted rate expires after this date. Tuition payments are non-refundable. If you are unsure of a student's ability to continue lessons until the conclusion of a semester, please select 10 installments rather than 2 or 1. Tuition credits or refunds are not offered when students miss multiple lessons due to illness, scheduling conflicts, or other reasons. Parents will be supplied with a Lesson Swapping Directory. When a conflict with a piano lesson arises, arranging a swap with another student is a way to avoid an absence. The lesson-swapping option is intended to decrease the need for make-up lessons and to provide students with a way to maintain their progress throughout the term with minimal interruption. Parents should notify the teacher when a swap is arranged. If a lesson must be cancelled, parents may notify the teacher by using the website calendar (a cancel option is provided), by e-mail, or by text (540-815-9455). Please give as much notice as possible when canceling a lesson. The teacher is not obligated to make up a lesson which is cancelled by the student or parent. Any lesson that is cancelled by the teacher for any non-weather-related reason will be made up at no additional charge or a tuition credit will be given. As a courtesy, the teacher will attempt to make up lessons cancelled by the student or parent. These make-up lessons are not guaranteed. Lessons that are missed without prior notification to the teacher will not be made up. Make-up lessons will not carry over to subsequent terms unless they are the result of a teacher-cancelled lesson. In cases of snow days and school holidays, lessons will go on as scheduled unless the teacher gives contrary notification. Please refer to the studio calendar for non-lesson days. Student safety is the responsibility of the parent. Any lesson that is missed due to snow will not count against perfect attendance if the teacher cancels lessons or if prior notification of the absence is given to the teacher. If a student or parent does not give prior notice, the missed lesson will count as an absence and will not be made up. In most circumstances, lessons missed because of snow will be made up. Exception: If there is a prolonged severe weather event which causes multiple lesson cancellations, the teacher cannot guarantee make-ups for all missed lessons or offer refunds. The key to success in piano study is participation on the part of the student and, to a degree, the parent. Participation includes: practicing between lessons, attending lessons, performing in recitals, and taking part in enrichment activities. Student participation is not optional, and a student who does not intend to participate fully (or a parent who does not intend to encourage participation) should not reserve a spot in this studio. Bear in mind that there are potential students awaiting an enrollment opportunity. Parents are encouraged not to make a child who does not really wish to learn to play piano or practice piano take lessons. Students are expected to participate in as many studio activities as possible. The following events are required: recitals (at the end of each term), one festival (VMTA Fall Festival or MTNA Studio Festival in the spring), masterclasses (middle and high schoolers), and group lessons (one per term). The following activities are encouraged if offered to the student: performance in out-of-studio recitals such as RVMTA recitals and Galbraith recitals, attendance at live musical performances, field trips. l Student has a sports practice. l Student has hair appointment, birthday party to attend, etc. l Parent decides that event is not convenient or important, etc. NOTE: Generally speaking, the student will be excused from studio activities without penalty as long as there is not a pattern of non- participation. 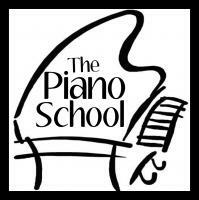 WHEN THERE IS A PATTERN OF NON-PARTICIPATION IN PIANO EVENTS, THE STUDENT WILL BE DISMISSED FROM THE STUDIO. NOTE TO PARENTS: Students whose parents show an interest in their piano studies regularly progress faster than those whose parents are not involved. Ask to hear your child's assignment often. There is no need to offer criticism or pressure. Simply listening with interest is extremely helpful. Do not use piano practice as a punishment, but also do not expect your child to love practicing. There is a certain amount of discipline involved in developing practicing habits; however arguing and/or raising one's voice with a child will not produce positive results. Piano study is a lengthy endeavor, and supportive listening and frequent interest are the best help a parent can offer. Parents are expected to provide their child with an adequate instrument on which to practice between lessons. Students should be dropped off for their lessons no earlier than five minutes prior to their reserved times and picked up promptly at the conclusion of their lessons. Early arrivals should wait outside (with parent supervision) until lesson time whenever possible, or in the entryway. When a student arrives late for a lesson, the pick-up time should be kept on schedule. NOTE: If a student does not emerge from his or her lesson at the appointed time, additional instruction is being given. If this situation poses a problem, please notify the teacher at the beginning of the lesson that the student must not be detained. Students should bring ALL current music books and their assignment book to EVERY lesson. ONE STUDENT AT A TIME MAY BE DROPPED OF IN THE STUDIO. PARENTS, GRANDPARENTS, GUESTS, SIBLINGS should allow students privacy and WAIT OUTSIDE. Turn off or silence cell phone. Please do not bring other children to a lesson you wish to observe. Do not type on a laptop computer. This is very distracting to the teacher and student. Do not nap (or lounge as though you are at home) in the studio. Do not bring food or drink into the studio. Remember that the studio is within a private family home and do not wander into other rooms. Do not interrupt. Please allow the student and teacher to work together undisturbed and unassisted. THERE IS NO RESTROOM AVAILABLE TO GUESTS, PARENTS, SIBLINGS, and FRIENDS. As the piano studio is in a private family residence, the restroom is available only to students who are currently attending a lesson. If waiting members of a student's party need to use a restroom, there are facilities available nearby at: Roanoke College, Mill Mountain Coffee & Tea, and O'Brien Meats. Thank you for your cooperation. Babysitting is not provided by The Piano School. Only one child may be dropped off at a time. Please do not bring guests to your lessons. Thank you. The teacher and student work in close proximity during piano lessons. Please make sure that students are free of strong odors when they attend lessons. Parents of adolescents may need to offer a gentle word of assistance in this department from time to time. Parents are responsible for acquiring piano books, sheet music, or music downloads when requested, or for paying for invoiced purchases made by the teacher on behalf of the student promptly. The Piano School assignment book is a required purchase for each enrolled student. I HAVE READ AND AGREE TO THE TERMS OF THE CURRENT 2016-2017 STUDIO POLICY STATEMENT (including the parts about dropping off one student at a time; no restroom available for waiting members of a student's party; and parents, grandparents, friends, relatives, and siblings waiting outside during lessons).